In its second generation (C2) the Corvette stood out just as much as it did when the radical project was launched in 1953. The car’s striking styling solidified it as an American icon, but left the competition department struggling to make amends. Inspiration for the car’s styling came from the shortfin mako shark which was mounted in miniature in Bill Mitchell’s office. He was the head of GM Design and had concept cars designed by Larry Shinoda that became the XP-720 4-Seater and XP-755 Mako Shark. 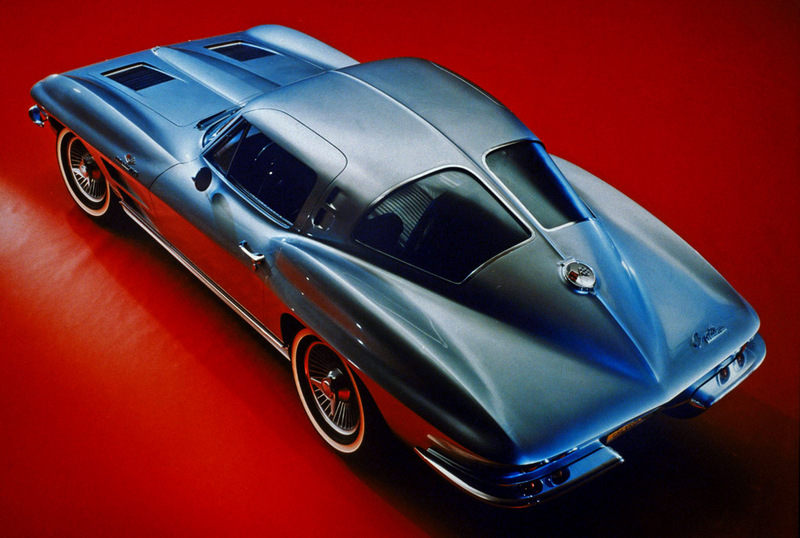 These provided a basis for the C2 corvette which was named the Sting Ray. With his bold new direction, Bill Mitchell made moves with the Corvette that caused much dismay in Chevrolet’s competition department. Zora Arkus-Duntov, who was considered the savior of Corvette performance, had to work around the styling which less than ideal for racing. When the Sting Ray was launched in 1963, the distinction between road and race cars was growing. Duntov did what he could with the road-gong design and created the Corvette Z06 which featured a competition upgrades that were good enough to immediately help race teams take the Sting Ray to the track. Success was initially limited to a few of the very first races until the much more purpose built Shelby Cobra came along and started winning everything. As a road car, Bill Mitchell’s design was an overwhelming success. 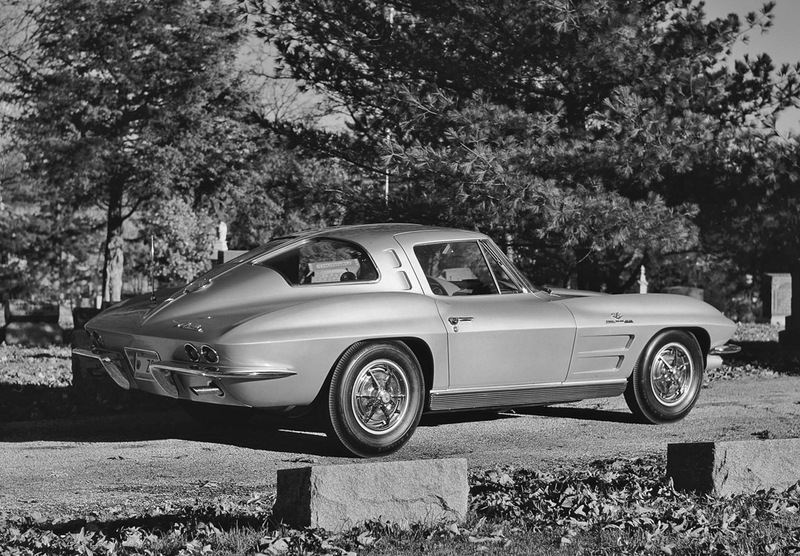 For the first time, the Corvette was offered as a coupe and featured a split rear window that caught almost everyones attention. Realistically, this styling cue was a mistake as it impeded rearward vision and had to be later removed in 1964. Both coupes and convertibles featured the same specification that included a fiberglass body supported by a steel ladder frame chassis. The rear end was upgraded by Duntov to include an independently sprung suspension by half shafts and a transverse leaf spring. This design was initially developed in the CERV I Concept. The front suspension was almost unchanged from the C1 generation, using unequal A-Arms and a standard anti-roll bar. Braking was provided by 11-inch drums which were replaced in 1965 with discs. 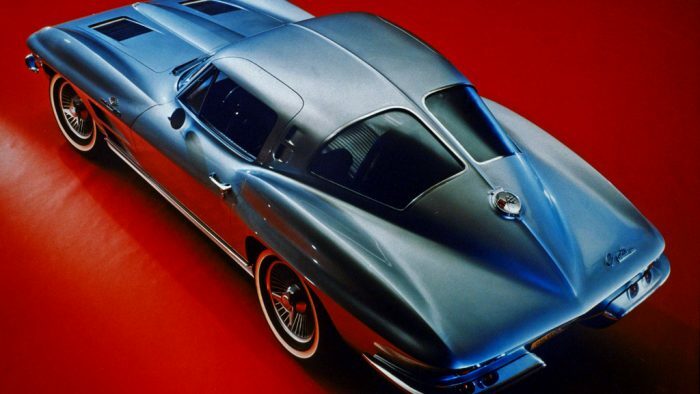 Almost all of the Sting Rays details could be optioned and some of the greatest-such as L88, Z06 or COPO427-became later known for their rarity and performance. Because so many engines, transmissions and differentials were available, most Corvettes had different performance potential. Less popular options included a leather interior, Kelsey-Hayes cast aluminum wheels, air conditioning and power brakes. 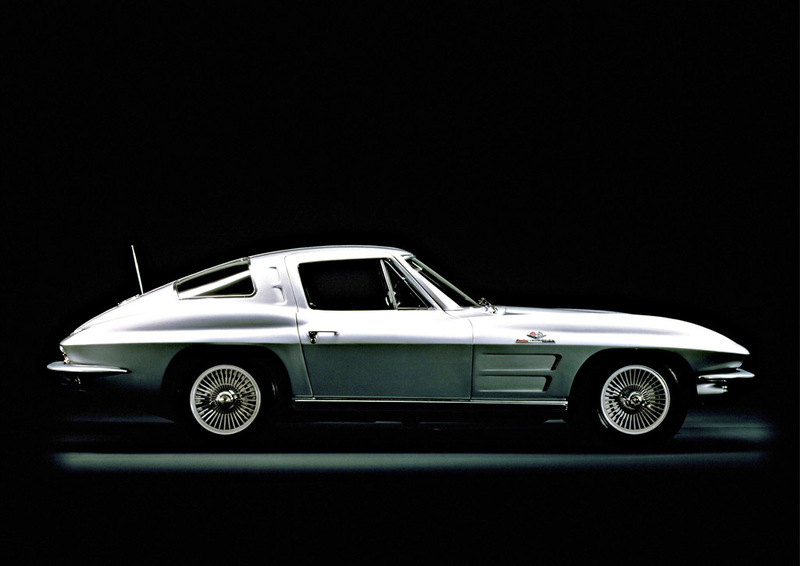 Like all Corvettes since 1955, the ’63 was powered by a V8 engine that steadily grew as the years progressed. The 327 was offered in four states of tune including a $480 fuel injected version that offered 360 bhp. These were attached to either a three-speed manual, Powerglide automatic or a Borg-Warner manual four-speed on request. Even the 360 bhp engine was virtually replaced in 1965 by the big block 396 Turbo Jet. Eventually, a 427 was offered, and produced around 600 bhp in 1967 with the potent L88 option. With incredible style, brute power and a well appointed interior with power everything the Sting Ray was an instant success. It had a base price of $4,037 USD for the convertible and $4,257 for the coupe. Initial sales were tremendous and the St. Louis factory couldn’t keep up with demand. Production for 1963 alone was up 50 percent from the previous year at almost 22 000 units. 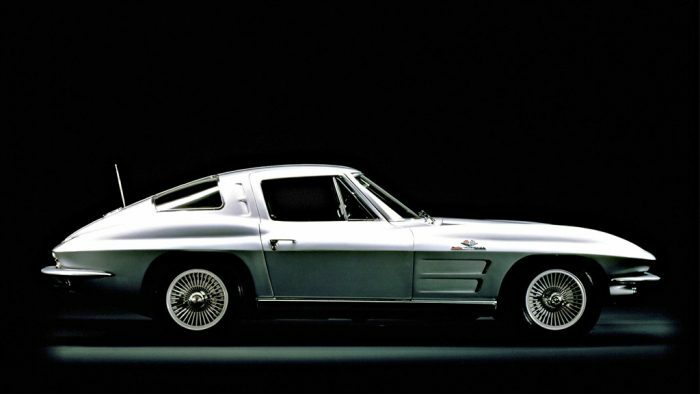 Sting Rays were produced up to 1967 when the third generation Corvette (C3) was released.